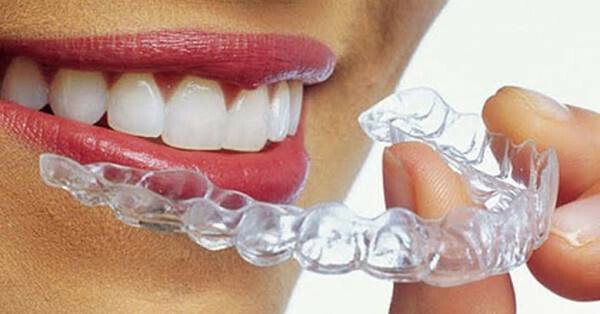 Invisalign® is an easy, straightforward treatment for straightening your teeth and achieving a more perfect smile. You won't draw undue attention to your mouth, because unlike braces there are no bands, brackets or wires. By using a series of clear removable aligners, Invisalign® straightens your teeth right before your eyes. A typical Invisalign® case takes about a year from start to finish. Change them about every two weeks, and your teeth will move—little by little, week by week—until they have moved to the final position prescribed by Dr. Granger. Comfortable to wear, Invisalign® aligners are also removable so you can eat, drink, brush, and floss as usual. Invisalign® can be used to treat the vast majority of common problems for adults and teens. It's successful in treating overly crowded or widely spaced teeth. It can also relieve overbite, underbite and even crossbite issues. Look your best during treatment and eat whatever foods you enjoy. No wonder Invisalign® is the choice of over half a million people. Compare the cost for Invisalign® to braces and you’ll be pleasantly surprised. For more information visit Invisalign's website. If you're in need of the service listed above, call Dr. Kevin Granger at (301) 249-3333 or book your appointment online today!